Otis has been practicing the pincer for a while now. With small edible objects mostly. Sultanas, rice puffs and these Happy Baby Organic Puffs. Cooked peas and corn kernels too. Actually anything small even the smallest crumb found on the floor he will pick up with his forefinger and thumb and put into his mouth. The pincer is most important as it prepares the hand for writing. Below Otis is using the Pincer Grasp Cylinder Block from At Home with Montessori. Meg is right, it is irresistible. Otis likes to pull it out a little then push it back in. 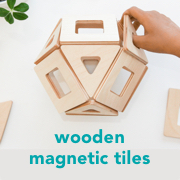 For me it's a little like the Interlocking Discs, it's so Montessori. All wood. It looks beautiful too. 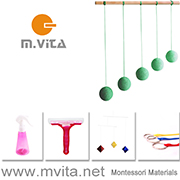 I believe (correct me if I am mistaken) this is one of the materials used in Montessori Infant Communities. Delighted to have it in my home and so, so pleased to be able to offer it to my infant. Do you have any other ideas on how to promote the pincer at this age? I'd love to know. Otis is now really comfortable working at his table. You can see below that his feet are now flat on the floor. His posture looks good. He is working with some puzzles. Ideally he would start with a circle puzzle. But we only have this multi-shaped puzzle. He has also been playing with some other puzzles (above) that are good for little hands. Following my previous post on his not so unusual planking technique, Otis is now up on all fours. Don't be fooled though. He's not crawling. He's launching! Up on all fours, rocking, then... launch. At least he's moving forwards. He'll do a little commando crawl too. At nine months I'm surprised he's not crawling. There's no rushing these things. I just keep on giving him lots of down time and lots of targets to crawl launch towards. Did I mention Caspar received some LEGO for Christmas. Eek.